Downtimes and standby times cost money! Especially if large quantities of manure arise it is important that filling the tank trucks can be carried out quickly and efficiently. 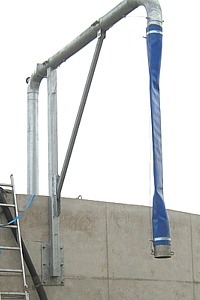 Filling boom for top filling: rotating and swiveling design or as rigid construction with splash guard tube. The height adjustment can be done either via winches or hydraulically. 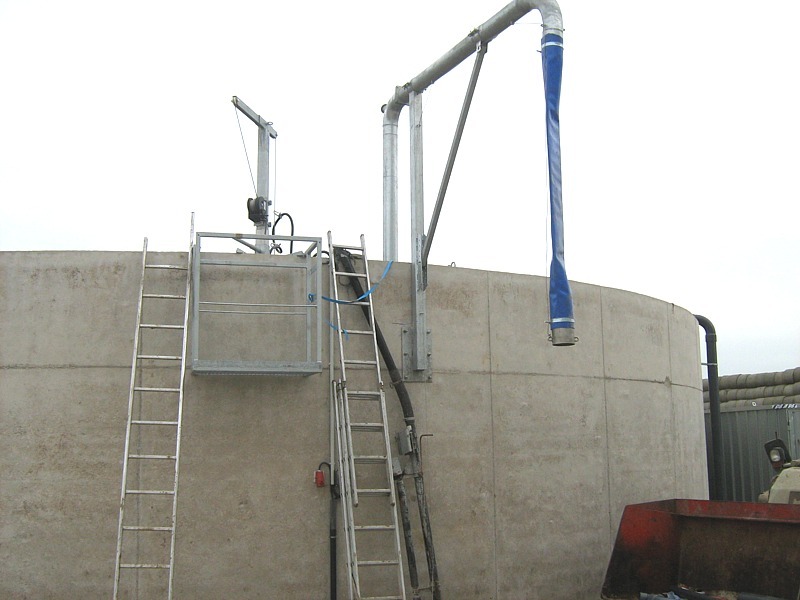 The device can be attached to the container wall or the filling pipe comes with a stand to be bolted in place. Lateral filling station: with drain hose double valve. In order to avoid foaming of the substrate, it is advisable to use large cable cross-sections. This helps to keep flow rates moderate despite the desired high performance. The rotary pumps PTS, ETO, ETV, DGP or DGP-TRO are very suitable as they are engineered for large quantities at low pressure.